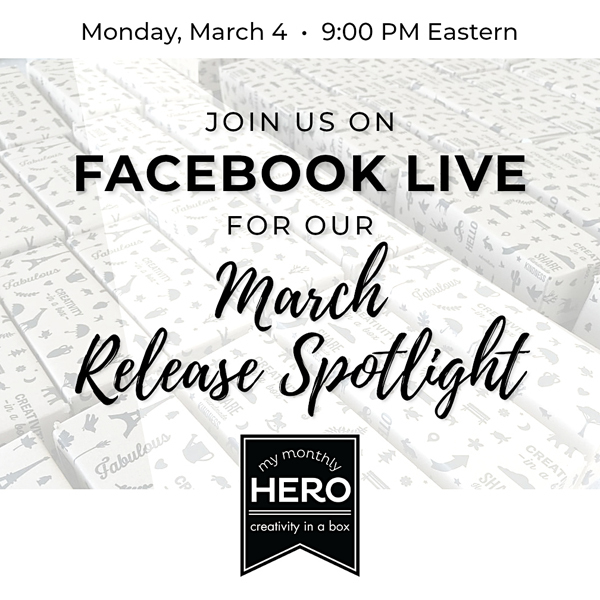 Libby's Little Addiction: March My Monthly Hero Release + Giveaway! Nice idea to used colored pencils! I have so many craft supplies and am always looking for new ways to use them in cardmaking. This card turned out great. Thanks for sharing. 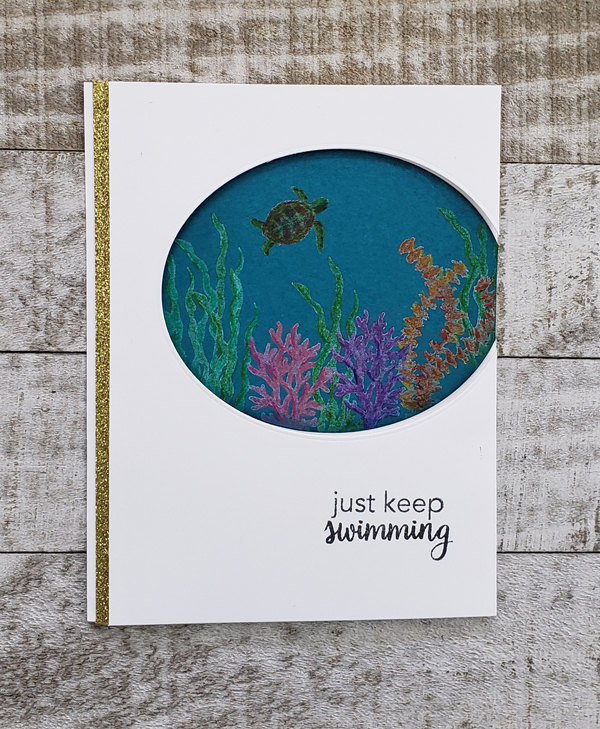 Great card, love the way you colored the coral, very pretty! This card is striking. I love the colors. Love the scene in your card. Such a great kit. Ah, this reminds me of our trip to Hawaii when our daughter got married. We went snorkeling almost every day for 2 weeks, and got up close and PERSONAL with the sea turtles. Your coloring over the stamped images is awesome. I will have to try this technique! Thanks for sharing! Great new kit. Love your coloring on the dark cardstock! Great idea to add some detail to the turtle--looks fantastic! Your card is awesome! Never have tried coloring over white ink. Can't wait to try it out! I love using my colored pencils and this technique is new to me, thank you for sharing, I will definitely try this! Your card is simply stunning! Gah! This is absolutely gorgeous! Love love love! 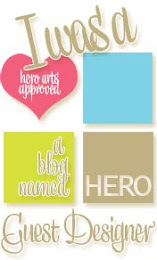 Libby, thanks for the great ideas with this fantastic Hero Arts kit! So fun! Thanks for showing how you did the pencils on top of the ink. Great card! I love the theme of this kit. Thanks for the idea about using the stamps as a guide for coloring. Striking card. Love the card you posted on Instagram, too. 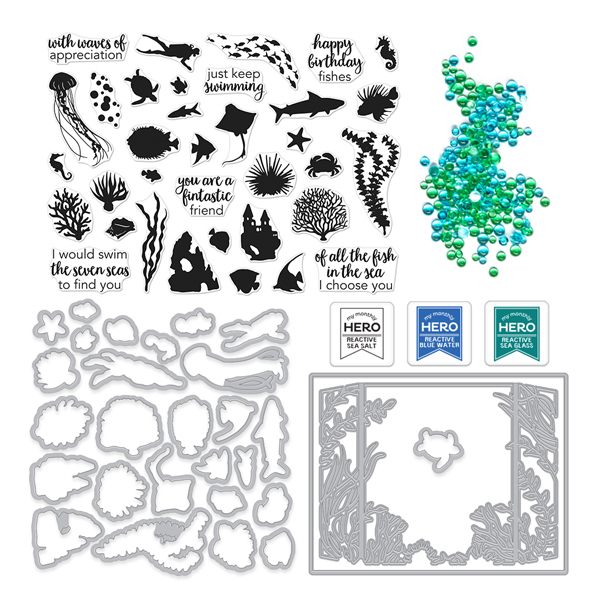 I love aquariums too and this kit is awesome! So many fun ideas. 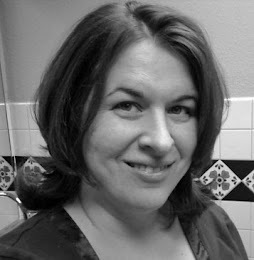 Thanks for sharing with us on this blog hop!! I love the coloring on your aquarium scene! Beautiful! 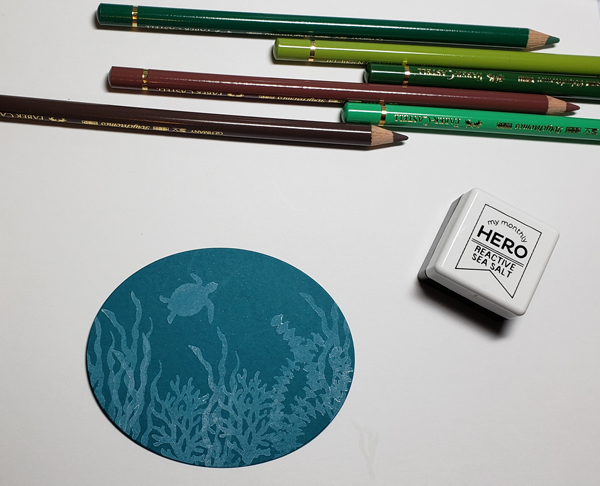 I love the effect of the colored pencils on the pretty blue background. Great card. I love seeing cards that are done with colored pencils. Yours turned out just great. Thank you so much for sharing.....super kit from hero arts! I really like how dark and moody your card looks, just like the sea. I just love the look of pencils on a dark cardstock. Beautiful card. TFS! Love the coloring on darker cardstock! Very impactful! A beautiful simple card! Love the use of the colored pencils. Wonderfull project. I like it. This card is a real stunner. Just beautiful!!!! What a beautiful aquarium you created! I love the colors you used, too. Nice coloring. I love this new kit! pencils on the dark paper. Wonderful scene, love the pencil color technique over the white images. 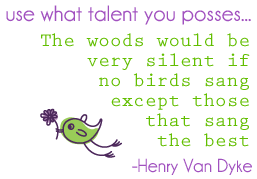 Thanks for the inspiration Libby! I was so surprised to see you used colored pencils, what a great idea. Beautiful work. Such a fantastic card. Great release. Beautiful coloring, awesome job! Thanks for sharing! How beautiful!!! And so fun! I like the colors of your beautiful card. 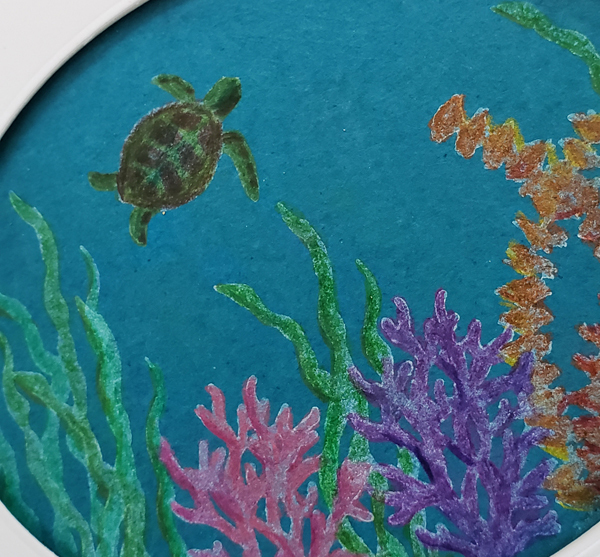 I love how you colored this calm and serene ocean scene! pretty card. Nice technique. Thanks for sharing. This little porthole scene is just delightful. Thanks for sharing your creativity. 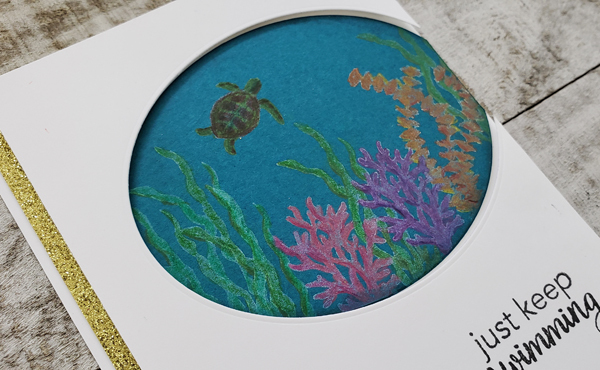 Lovely card - I love the deeper colours! What an amazing kit and card! Thanks for sharing your card! Love this new kit!